Fender has combined dozens of effects into its new Fender Mustang Floor pedal, which it introduced and added its range of products this week. 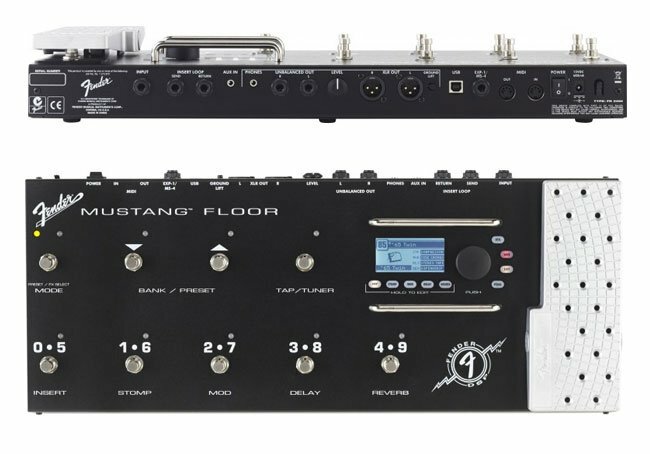 The Mustang Floor has been designed to be a natural extension of the company’s Mustang amps range, and shares the same LCD display and surrounding button layout as the Fender Mustang III. The new Fender Mustang is equipped with selection and control via nine stomp foot switches on the face and a solid aluminium expression pedal to their right. You can view the connections on the read of Fender Mustang after the jump. 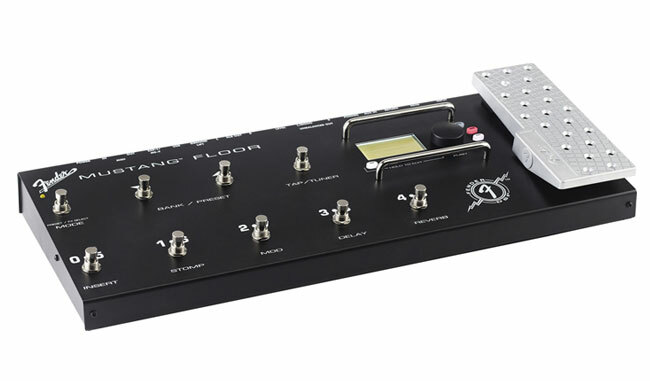 The Mustang Floor also enables users to plug in an additional expression pedal for added control, if required, and as you would expect Fender suggests its new EXP-1 model. The Mustang is able to provide users with 37 onboard effects spread over four categories : stomp, modulation, delay and reverb. Together with a built-in chromatic tuner, and 12 different amp emulations ranging from vintage to modern Fender models. The Mustang Floor ships with Ableton Live Lite 8 Fender Edition music creation software, and is now available in the US for around $400.